Edo State Government has approved the appointment of Mr. Igbinidu Inneh as the Executive Chairman of the Board of Edo State Internal Revenue Service. The appointment, subject to the confirmation of the State House of Assembly takes immediate effect, a statement by the Secretary to the State Government, Osarodion Ogie Esq said. According to the statement, other members of the Board are Mr. Charity Aimanyaevbo, Hon. Michael Ohio-Ezomo, and Mr. Emmanuel Ehimare Okodugha with Mr. Efe Iserhienrhien as the acting Secretary. Until this appointment, the Chairman, Mr. Igbinidu Inneh was a member of the Strategic Planning Unit (SPU) of the current Edo State Government. He also served as Executive Director, Public-Private Partnership (PPP) in the Governor’s Office from 2010 to 2016. Between 2008 and 2010, he was a member of the Edo State Economic and Strategy Team. 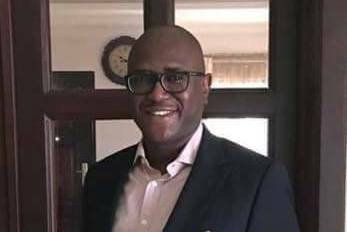 An investment Banker with established tract record in Public-Private Partnership (PPP), Project Finance, Financial Advisory and Business Advisory Services, Mr. Inneh has a Masters Degree in Business Administration (MBA) from the prestigious Imperial College Business School, London where he majored in Finance and Strategy. He is an alumnus of the Harvard Kennedy School of Government and a certified Debt Management Consultant. His early career development was with the ‘Big Four’ Professional Services Firms KPMG and Deloitte where he worked as a Senior Consultant. “These appointments follow the expiration, on Monday the 27th of February, 2017, of the previous board after a successful tenure in office. “The Government appreciates the immense contribution of the outgoing Board and Management for the growth and development witnessed in tax administration during their tenure. The government acknowledges their efforts which led to the establishment of the Revenue Law and ensured the progressive growth in IGR. These have enabled the state to sustain its development initiatives, programs and projects and laid the strong foundation for further advancement in tax administration and revenue generation for the State. “The Government wishes members of the outgoing board the best in their future endeavors”. While congratulating the new board on their appointment, the government advises the board and the entire staff of the EIRS to be professional in discharging their duties as acts of unethical behavior in tax administration and collection will not be tolerated.